Many families love giving their kids the full Walt Disney World experience, but let’s face it: sometimes you just need a little down time from the magic. Though Disney offers a variety of Orlando resort options for park guests to stay on property (along with some great perks, such as free transportation and Extra Magic Hours), there are also advantages to staying at a hotel off-site. One of the best advantages is generally better availability and lower prices. And when you’re already shelling out a small fortune for park tickets, matching family T-shirts, souvenirs and food, you might want to save a little money where you can. Note: One formerly free perk that has changed is that Disney resorts now charge for parking at their hotel properties—anywhere from $13 to $24 per night, depending on the resort. That said, if your non-Disney hotel charges for parking and does not offer a shuttle service, you’ll pay to park at your hotel and at Disney each day—just something to keep in mind when assessing your costs. 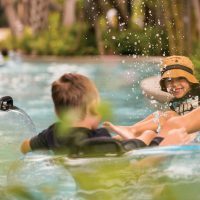 These are the best non-Disney hotels for families, based on various budget and accommodation styles. 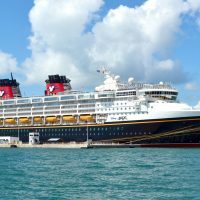 If you want an alternative to a Value Disney resort such as All-Star Music or All-Star Sports, consider staying at the Holiday Inn Resort Buena Vista. Parking/Resort Fee: The hotel charges an additional resort fee of $21.95 per night, which includes parking. Transportation to Disney: Yes, scheduled shuttle service to the Walt Disney Ticket and Transportation Center, as well as Universal, Aquatica, and SeaWorld, is included with the resort fee. 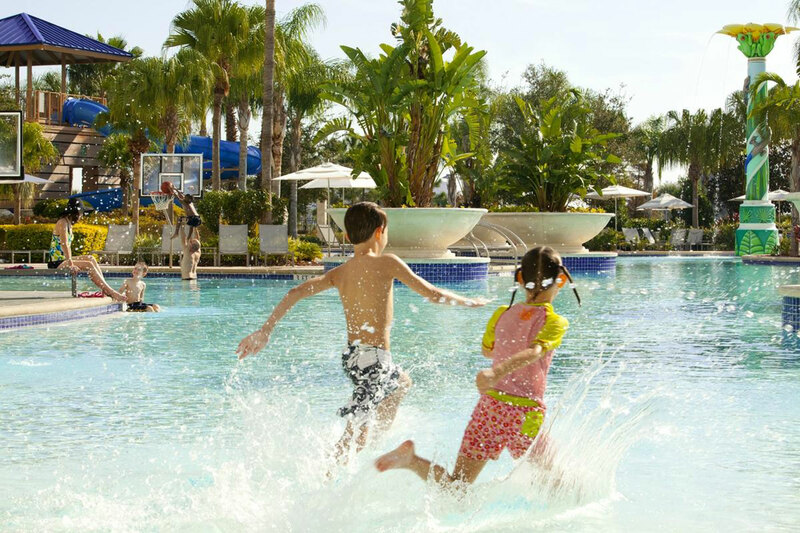 Best Amenities for Families: Kids eat free at any of the onsite restaurants. There’s also an arcade and a children’s theater that shows full-length kids’ movies every day. There’s a kids’ activities program and poolside games, giant chess and Jenga, plus free dive-in movies on weekends. If you want an alternative to a Mid-Range Disney resort such as Coronado Springs or Port Orleans, consider staying at the Hilton Orlando. Transportation to Disney: No—you will need to pay to park at Disney, or arrange your own transportation. 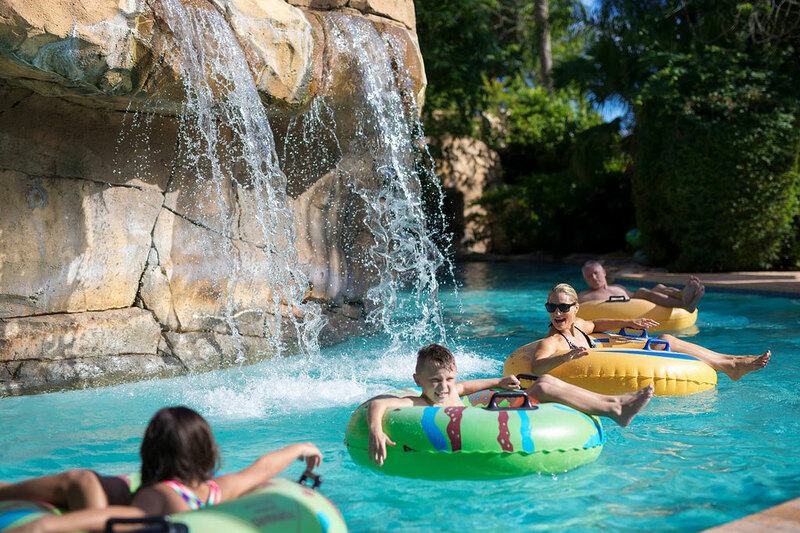 Best Amenities for Families: We loved floating in the heated lazy river here, which includes bubbly jets and waterfalls along the way, as well as swimming in the humongous zero-entry pool and playing at the splash pad. Poolside cabanas are available to rent for a particularly relaxing day at the pool. There are also fire pits to roast S’mores in the evening, and five kid-friendly onsite restaurants. Kids’ activities are planned throughout the day, including free options such as bingo, a water balloon toss and giant bowling. This is an ideal hotel for breaking up a busy day at Disney. 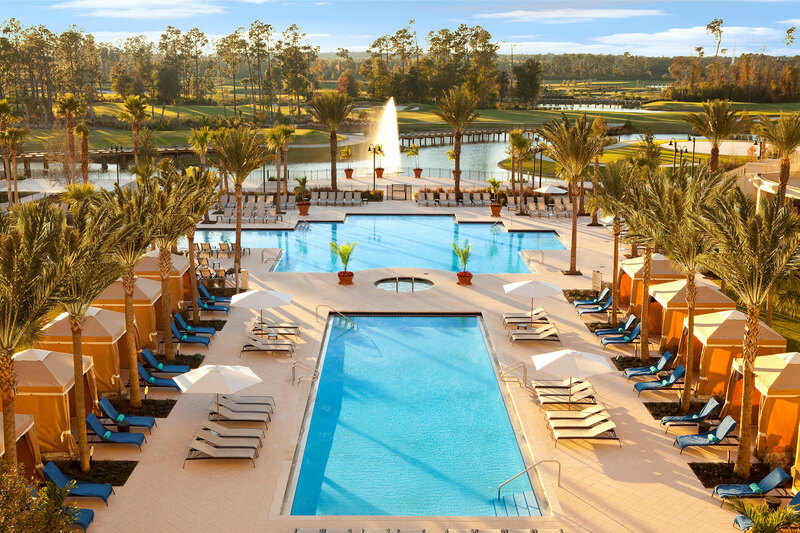 If you want an alternative to a deluxe Disney resort such as the Grand Floridian or the Contemporary Resort, consider staying at the Waldorf Astoria Orlando. Parking/Resort Fee: Valet parking is $35 per day; a $40-per-day resort fee includes Wi-Fi, two welcome drinks and additional amenities. Transportation to Disney: Yes, there is scheduled motor coach transportation to the four main Disney theme parks. 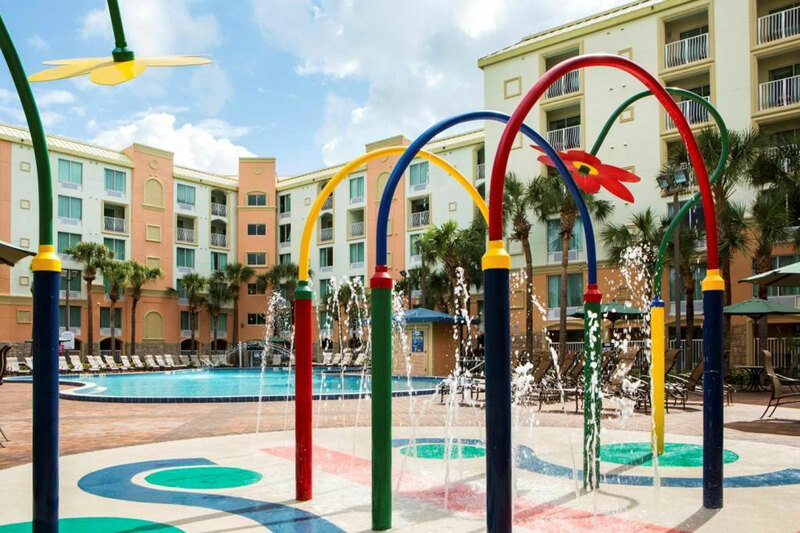 Best Amenities for Families: Enjoy twice-daily housekeeping and rooms with a view of Disney World. Kids love splashing in the spacious, zero-entry pool and enjoying arts and crafts by the pool and a daily scavenger hunt offered by WA Kids Club. Private cabanas are available to rent. There are also 12 onsite dining and bar venues, in addition to in-room dining. If you want an alternative to a villa at a Disney resort such as the Boardwalk Villas or Copper Creek, consider staying at Reunion Resort. 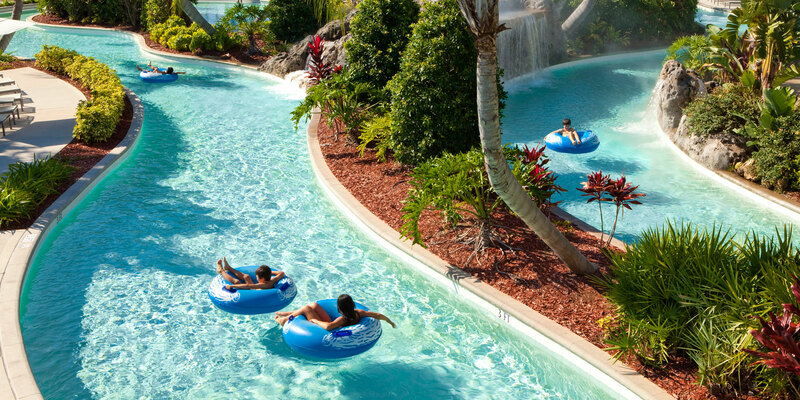 Parking/Resort Fee: You will be charged an 11.5-percent resort fee per day, and this includes parking, Wi-Fi and water park access. Transportation to Disney: No, you will need to pay to park at Disney, or arrange your own transportation. Best Amenities for Families: The spacious one- and two-bedroom villas at this resort are ideal for families to spread out and relax. Each villa includes a balcony, full kitchen and deluxe bathrooms with large showers and jetted tubs. There’s also a nightly turndown service, a kids’ waterpark, two additional pool areas, and a kids’ club, plus a variety of onsite restaurants.